Bauchman v. West High School. The Becket Fund for Religious Liberty (n.d.). Retrieved from https://www.becketlaw.org/case/bauchman-v-west-high-school/. Bauchman v. West High School. (Apr. 04, 2019). https://www.becketlaw.org/case/bauchman-v-west-high-school/. "Bauchman v. West High School." The Becket Fund for Religious Liberty. Accessed [Apr. 04, 2019]. https://www.becketlaw.org/case/bauchman-v-west-high-school/. 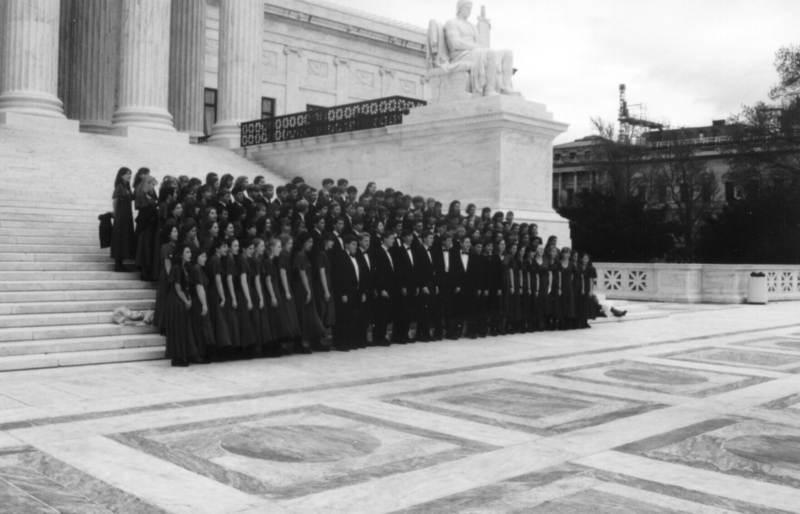 In 1997, Becket won an important victory for members of a high school choir in Utah ensuring school choirs can perform a diverse repertoire that includes music with religious origins or texts. When a student at West High School sued school officials, challenging the choir’s performance of a Christmas concert because songs with religious texts were included, Becket stepped in on behalf of other students and their parents. Becket argued that, given the prevalence of religious themes and text in Western music as a whole, it is simply natural for a rich and diverse music curriculum to include music containing religious references. A federal court agreed, ruled in favor of West High School, and dismissed the student’s claim.The student appealed to the Tenth Circuit Court of Appeals, which again ruled in favor of the high school in December 1997. The court held that the student’s allegations were insufficient to support her attack on the song selections, given the obvious secular purposes of the Christmas concert. Furthermore, the court saw no reason to conclude that the selection of religious songs was illegal simply because they contained views different from the student’s own. The Supreme Court declined to take up the student’s case, ensuring that Becket’s defense of public school students against anti-religious censorship would stand.